« Why Do Hillary Clinton and Bernie Sanders Want to Undermine Jobs and Investment in America? The good thing about being nonpartisan is that I can freely criticize (or even praise) policy makers without giving any thought to whether they have an R or D after their name. That doesn’t mean Republicans and Democrats are the same, at least with regards to rhetoric. The two big political parties in the United States ostensibly have some core beliefs. And because of that, it is sometimes very revealing to identify deviations. Democrats supposedly believe the rich should pay higher taxes and that low-tax jurisdictions should be persecuted, yet many Democrat bigwigs utilize tax havens. Republicans supposedly believe in smaller government, yet many of them decide to get rich by lobbying to expand the size and scope of Washington. Democrats supposedly believe there’s a big gender pay gap, but Obama’s top economic adviser said such numbers are fake and Hillary gave higher pay to men in her office. Let’s now add to the list. 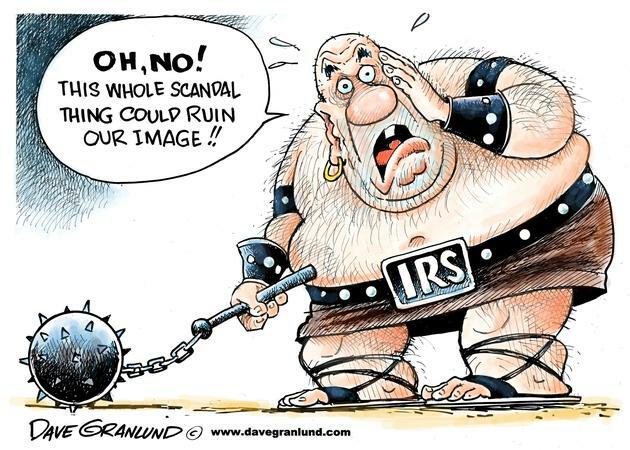 The IRS has stonewalled and treated Congress with contempt. The bureaucrats have disregarded the law to advance Obama’s hard-left agenda. They have used their power to help Obama’s reelection campaign. And IRS employees even donate lots of money to Democrats. Given all this, you would think Republicans would be doing everything possible to punish this rogue bureaucracy. Even if only because of self interest rather than principles. Yet GOPers decided, as part of their capitulation on spending caps (again! ), to boost the IRS’s budget. I’m not joking. The Hill has a report with the sordid details. The spending bill…provides an increase in funding to the Internal Revenue Service, a rare win for an agency that has been on the outs with congressional Republicans. The $1.1 trillion omnibus provides an additional $290 million for the IRS, an increase of 3 percent over the last fiscal year. What’s especially discouraging is that Congress was on track to reduce the IRS’s bloated budget. 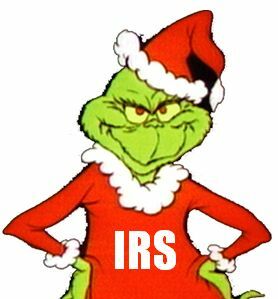 …the outcome for the IRS in the omnibus could have been far worse. A bill advanced by the House Appropriations Committee earlier this year that would have slashed IRS funding by $838 million, while a bill passed by the Senate Appropriations Committee would have reduced funding by $470 million. Instead, the spending package gives the IRS a nearly $300 million bump. This is yet another piece of evidence that budget deals crafted behind closed doors inevitably produce bad numbers and bad policy. And it’s certainly another sign that Republicans truly are the Stupid Party. Just in case you think I’m being unfair to either GOPers or the IRS, let’s look at some recent developments. Here are the best parts of an editorial on unseemly IRS behavior from the Washington Examiner. President Obama’s IRS repeatedly los[es] hard drives loaded with data related to scandals at the agency. To lose one might be regarded as suspicious happenstance; to lose two looks like conspiracy. The most famous case is that of Lois Lerner, whose division became notorious for targeting conservative groups applying for nonprofit status. Her computer hard drive malfunctioned before that scandal broke, around the same time Congress was looking for information on a separate IRS targeting scheme aimed at conservative donors. …The newest case of IRS hard drive trouble happened last April, but came to light only this month. …the IRS has notified the Justice Department that it erased a hard drive after being ordered not to do so by a federal judge. In this case, the missing communications are those of a former IRS official named Samuel Maruca in the Large Business and International division. He is believed to have been among the senior IRS employees who made the unusual and possibly illegal decision in May 2014 to hire the outside law firm Quinn Emanuel to help conduct an audit of Microsoft Corporation. And here’s some shocking (or maybe not so shocking) information from the Daily Caller. The IRS’s new ethics chief (wow, there’s an oxymoron) has a track record of illegally destroying records. The new head of the Internal Revenue Service’s (IRS) ethics office once oversaw the illegal shredding of documents sought by the federal tax agency’s inspector general (IG), and allegedly retaliated on the colleague he believed snitched on him about it. Yup, he sounds like the kind of guy who deserves a bigger budget. Let’s close with some very good advice from the Washington Examiner. In the nearly three years since the targeting scandal was revealed, it has become clear that it was just a symptom of a much deeper problem at the IRS — a culture that lacks accountability, rewards failure, and persecutes the innocent. …it needs a thorough housecleaning, not…bonuses. Too bad Republicans decided the entire IRS deserved a big bonus. P.S. From my archives, here are some examples of the bureaucrats who will benefit from a bigger IRS budget. P.P.P.S. And since we’re recycling some oldies but goodies, here’s my collection of IRS humor, including a new Obama 1040 form, a death tax cartoon, a list of tax day tips from David Letterman, a cartoon of how GPS would work if operated by the IRS, an IRS-designed pencil sharpener, two Obamacare/IRS cartoons (here and here), a sale on 1040-form toilet paper (a real product), a song about the tax agency, the IRS’s version of the quadratic formula, and (my favorite) a joke about a Rabbi and an IRS agent. Those at the IRS believe their jobs with government are sacrosanct. Any radical simplification of the tax code jeopardizes that belief. It is logical that they will do everything possible (legal or otherwise) to slow down or eliminate threats to their agency, not because they are politically motivated, but for self-preservation purposes. The IRS will be the apparatus that gathers the money for government, whether Democratic or Republican. They are not the brain, but they are the hand that feeds government; the main hand feeding coercive collectivism. Biting it is a losing proposition for any politician, whether Democratic or Republican. In general, do not expect politicians to take the lead at reducing coercive collectivism. Al most by definition, coercive collectivism is the essential product of government. It is thus very difficult for politicians to understand personal freedom when the existence of their very offices depends on not understanding it. Very few people will run for a political office with an ideological agenda that aims at elimination of their very own political offices. These people never even enter politics, with very few exceptions. Even those who pander lesser government to the people (well, to some people) often do so because they simply realize that there is a natural big shortage for smaller government politicians, and thus step in to exploit the situation by filling in the small government ideological gap. Yes, there are probably a few honest small government politicians. Politicians whose ultimate aim and success metric is the elimination of their own offices. But they are few and far between. Most ordinary small government politicians engage in varying degrees of hypocrisy. That is why small government politicians are often so rhetorically incompetent. It is hard, very hard, to think one thing with part of your brain and at the same time say something else with enough eloquence to convince voter-lemmings on the ultimate growth and prosperity of less coercive collectivism. Especially when you have to face political opponents who are naturally mind, soul, and body, dedicated big government believers. Come to think about it, it is us, the voter-lemmings who seek out these big government types, ferret them out of obscurity , and promote them into high office. We, The People, are the safeguards of our own personal freedoms, high growth, and long term compounding prosperity. Don’t expect much from politicians. Coercive collectivism is their very product, almost by definition.